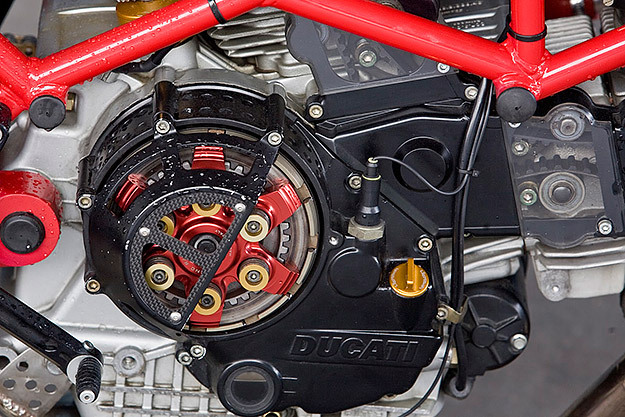 Madrid-based Radical Ducati is on a roll at the moment, raiding Ducati parts bins from the past twenty years to produce a steady supply of jaw-dropping customs. 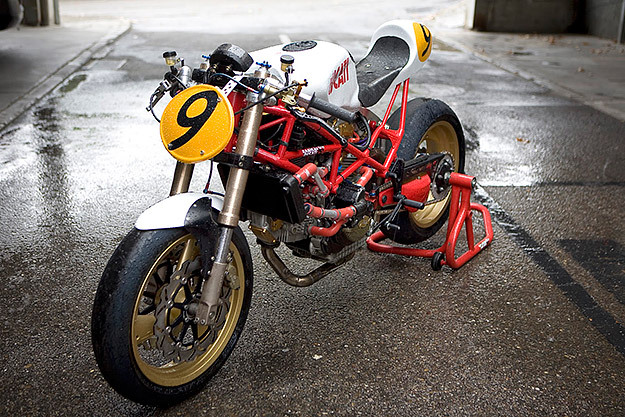 This latest bike is inspired by racing Ducatis from the 1970s and the ‘monocilindrica’ 450cc. The starting point of 9½ was the frame from a 1997 Monster M900, chopped at the back to accommodate a racing-style tail unit. A single-sided swingarm is hooked up to the rear wheel from a 916, while the tank is from a 999. The liquid-cooled engine is from an ST2 Sports Turismo; it breathes through German Wolfman manifolds, with exquisite Laser megaphones attached to the other end. The solo seat is from RD’s RAD02 Cafe Racer—featured on Bike EXIF a year ago—and despite the ragbag of parts, the whole thing hangs together remarkably well. 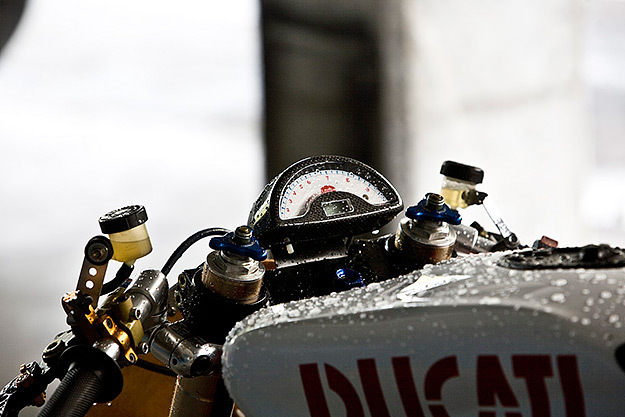 It’s as ‘naked’ as they come, but with a delicious hint of vintage racebike. Fancy one in your garage? MT03 aluminum modified front mudguard. 999 fuel tank with Ergal quick-open gas tap. RAD 02 Cafe Racer solo seat.